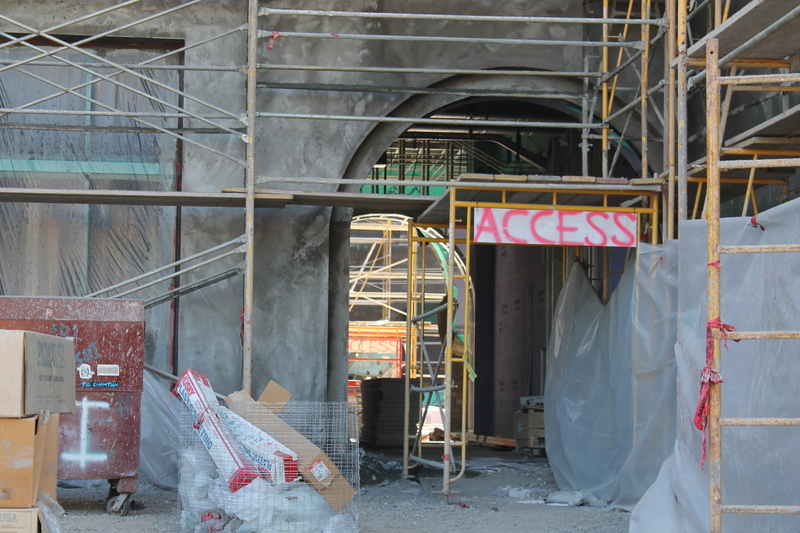 An entrance to the cafe area in Aztec Student Union is coming together. 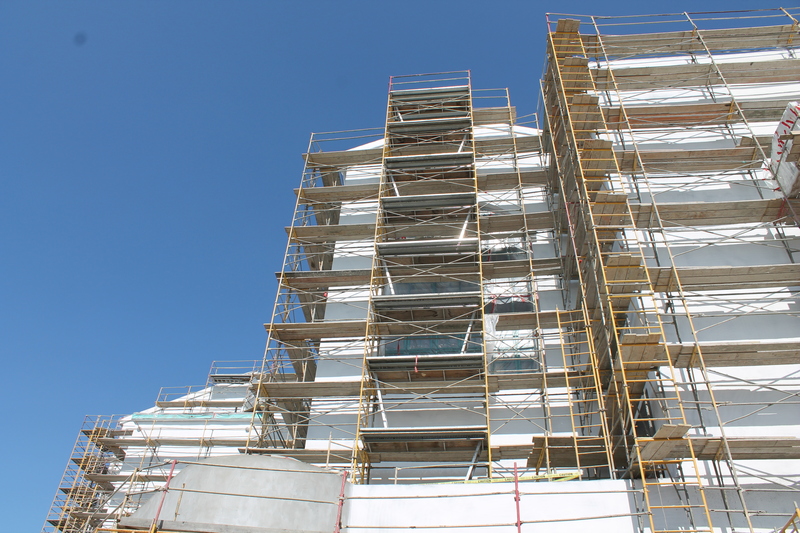 The stark white north wall of the theatre in the Union. 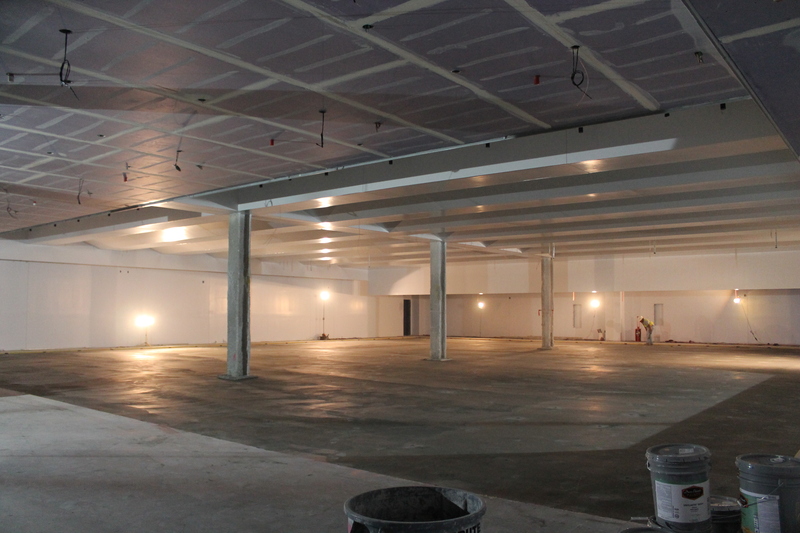 Crews poured the “floating slab” upon which the wood floors will be laid in Aztec Lanes. 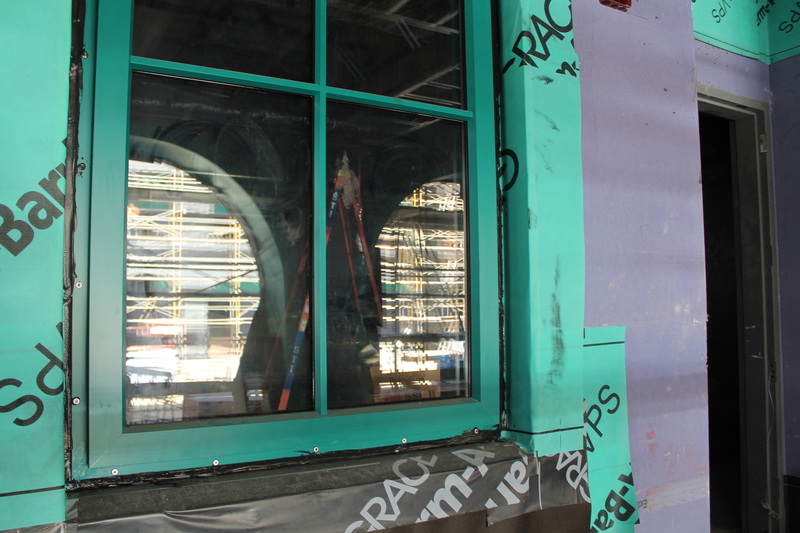 A window on the first floor reflects the archways and the courtyard of the Union. 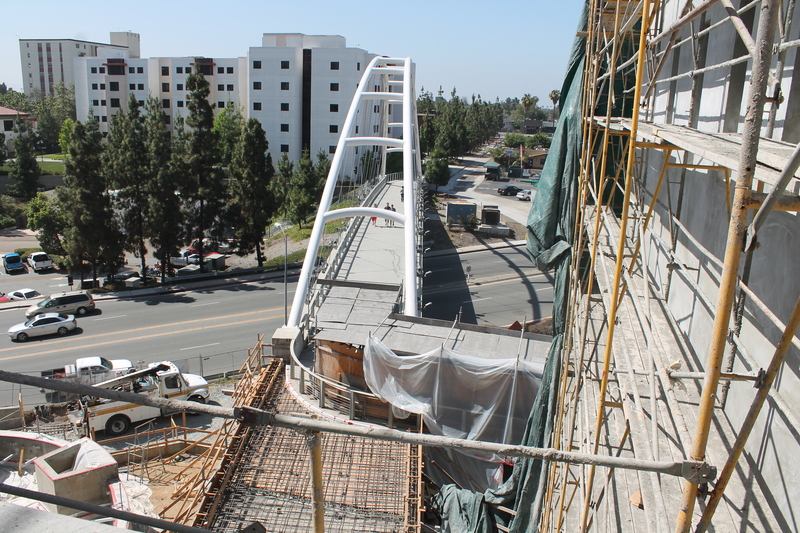 A bird’s eye view of the pedestrian bridge and its eventual ramp into the Union. 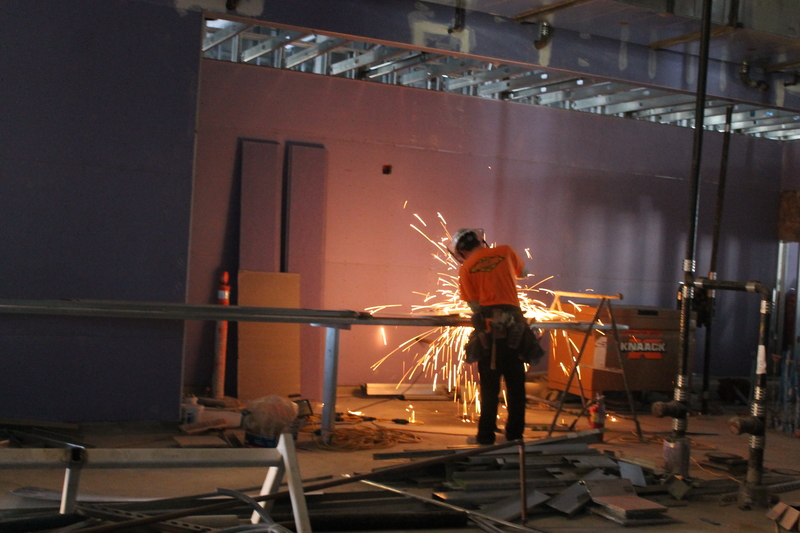 A crew member cuts metal framing in the cafe area.